After doing SEO for over 12 years with more than 300 brands, here are 6 Lessons I've learned about SEO. All of the brands I've worked with who have seen massive success with SEO have understood the following key insights about doing SEO and have been successful because of this understanding. No, I don't mean you will rank #1 within three months. What I do mean is that the decisions you make, the strategies you choose, the people you employ, the content you plan, the optimisations you make and the bugs you fix in the first three months of an SEO campaign will generate the most improvements in terms of rankings and traffic increases. The analogy I like to use is that it's like breaking a dam wall. The dam wall is what's holding your site back, that's stopping it from getting found and ranking well. The dam wall is things like technical problems, a slow loading website, not having any content of value on the site and most importantly, not having pages optimised to target relevant keyword phrases. Once you fix those things, once you "unplug the dam", your site is free to perform in Google. It is free to respond positively to link building and promotions designed to improve its rankings. The business owners I've worked with who get the best long term results are those who ask questions and commit to learning and understanding the fundamentals of SEO. You don't need to learn how to be an SEO consultant, but you need to understand how things work and what your agency or consultant is going to do to improve things. If you simply want to "pay someone to get you rankings" then you will be taken advantage of by people with the best lies and lowest morals. There is a narrative that runs in the media about how homeowners and property investors today, who were too young to have experienced the property market in the last recession are doomed to make the same mistakes this time around. The same can be said for SEO. There is an advantage to working with people who have gone through the turmoil that followed many of the major Google algorithm updates in the past. Updates like Google Panda and Penguin which had a massive impact on websites. Experienced SEO's demonstrate the following behaviours. They tend to take a bigger picture view when recommending SEO strategies. They understand the implications of getting things wrong. They tend to have business insights based on experience. They are free from the arrogance that comes from thinking you "know it all." If you hang around SEO conferences and forums, you will see these men and women; these experienced veterans of SEO for whom nothing is really new. SEO is awash with people looking for golden bullets; that one strategy that will get you to #1. It's also filled with people willing to sell you those golden bullets; for a price. Doing well online, especially in SEO is a systematic, ongoing process of improvement. Today’s' improvements build on the work that came before. A golden bullet that gets you to #1 will never be permanent. 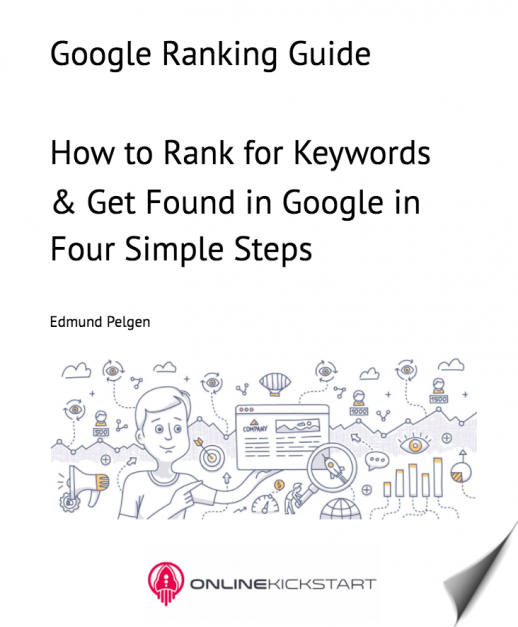 Not in the face of the artificial intelligence that is now at the heart of the Google search engine, that over time will systematically remove any loopholes and hacks you might try to exploit today. The advantage smaller businesses have over bigger ones is that they can take action quickly. It's how we can explain YouTubers and Instagram celebrities with millions of followers but no resources. They move faster, create more and improve more quickly. I've worked with brands who have spent months working out a strategy, rationalising the numbers and the data before ever making a single change, writing a single blog post or building a single link. They try to get everything right at the beginning, but there is no such thing as 100% certainty in SEO. Sometimes you publish content that goes viral. Other times you invest in quality content that bombs. The way you succeed is by having more chances "at bat" or "at the crease". Implement a fix, publish a post, build a link, run a promotion. Make improvements and try again. It's the whole fail fast strategy. Remember Google won't rank what you don't publish or promote. Get things out in the wild and see what happens. In the past, you could build a financially viable business with SEO as the primary traffic strategy. If you are building a real sustainable business, the days when you could just focus on SEO are gone. SEO, which in this case is about having a technically sound site with quality content that helps customers and attracts links from real businesses is a foundation layer on which social media and paid traffic campaigns are built upon. People don't want to deal with faceless businesses with no contact details. They can reach out to their social peers to see what people think about you. They will do Google searches to see if you have content that is helpful. Yes, SEO is important but remember it's just a part of the ongoing journey of online marketing. If you want to talk to someone who has seen a lot but is still not a know it all, then feel free to contact me and lets chat.